About: ​Salmon and seafood harvested, processed and distributed by Stó:lō fisherman. Cheam Trading offers certified ocean-wise fair trade wild salmon and seafood. About: ​The Cheam Trading Post is a partnership between Darwin Douglas, a Cheam Band member and Patty Bower an Osoyoos Indian Band member. This partnership demonstrates the nature of the trading post – trading the resources of one territory with another. The Trading Post offers wholesale and retail smoked and fresh salmon from the Fraser River and Okanagan soft fruit from orchards on the Osoyoos Indian Band lands. The Cheam Trading Post is a must-stop, major attraction for tourists. We also sell authentic native merchandise, BC Aboriginal arts and crafts, local berries, produce, and ice cream. ​About: Coqualeetza operates a sales outlet providing First Nation arts and crafts focussed on Stó:lō artists and craftspeople. Other items include Coqualeetza publications, story books and Stó:lō curriculum materials. The gift shop also carries beadwork, carving, prints and silver jewelry on consignment. About: ​The designs on the boots range from traditional graphic West Coast First Nations artwork to Plains Métis floral designs. Taking cues from nature, our design repertoire includes the killer whale, raven, flowers, hummingbirds, and tree designs. We also create contemporary designs geared to appeal to youth. About: Creating unique pieces of furniture to compliment your home! We offer a selection of refurbished furniture in our store, as well as offer custom refurbishing services to transform an older piece, to fit in with your existing style. We offer a range of gift ideas and decorative items for both you and the special people in your life. We have a selection of chalk paints, wax finishes and brushes provided to us from Country Chic Paint that will make your refinishing projects fun and manageable. We also offer gift certificates and painting workshops for the artistically minded on your list who are looking to start a project of their own. About: ​Forfathurs Collective is a skateboard company based out of Langley. There are five members in the business, with skateboarding being our true passion. Our goal is to be the most popular brand in North America. About: ​Offering bankruptcy, receivership and repossession sales auctions, heavy duty equipment sales, restaurant equipment, and asset liquidations. If you don’t see it, chances are we can get it for you! About: ​Vinyl Sign and decal business. About: Massy Books specializes in buying and selling books in a wide range of genres. We carry a wonderful inventory of unique and hard to find books in science, art, history, literature, architecture, photography, biography, and more! We are always on the hunt for rare books to provide you with an inventory you can't find anywhere else! About: ​Old Time Glass offers a variety of vintage and antique glassware, china and collectables. Connect with me today, to finish your collection! About: A local business with a love for fashion! 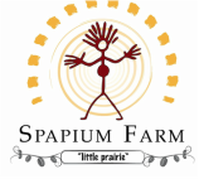 About: Spapium “Little Prairie” Farm is located in Lytton, BC. We grow a variety of fruits and vegetables, including watermelon, tomatoes, eggplant, onions, potatoes, corn, sweet peppers, pumpkins, squash, cucumbers, apples, pears, plums, walnuts, as well as canned apricot jam and rose hips for medicinal tea. We can be found at the Lytton Two Rivers Farmers Market on Fridays, as well as at the Chilliwack Farmers Market and in Cache Creek Market on Saturdays. This farm is the reality of a dream we had, of bringing life back to my Grandfather’s land. We also encourage potlatching with our goods, to give back, to share with our Community, family and friends. About: We are experts at providing you quality service. Why? Because its what we've been doing for more 80 years. Our team is made up of the best professionals in the paper industry. Our experience and expertise is yours when you decide to partner.